Found one file extension association related to MediaBASIC and 1 file format developed specifically for use with MediaBASIC. 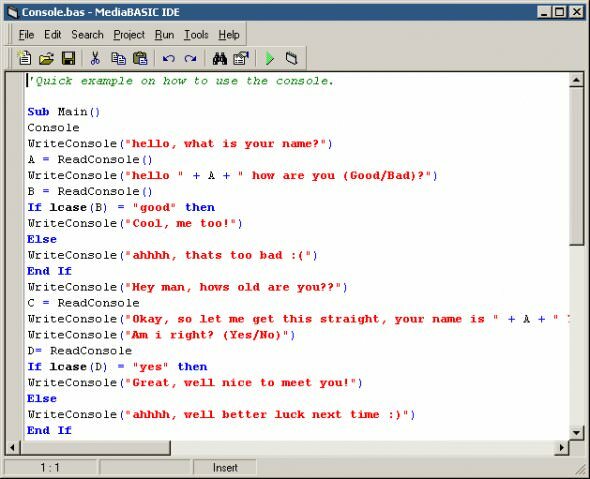 MediaBASIC is Windows compatible integrated development environment for BASIC programming language. It also supports VBScript syntax and all of its components. BASIC programming language for Windows. Supports superset of VBScript syntax and all of its components. If you need more information please contact the developers of MediaBASIC (SourceForge.net), or check out their product website.